In the 1930s, a US newspaper introduced an interesting way of making their advertisements more attractive. 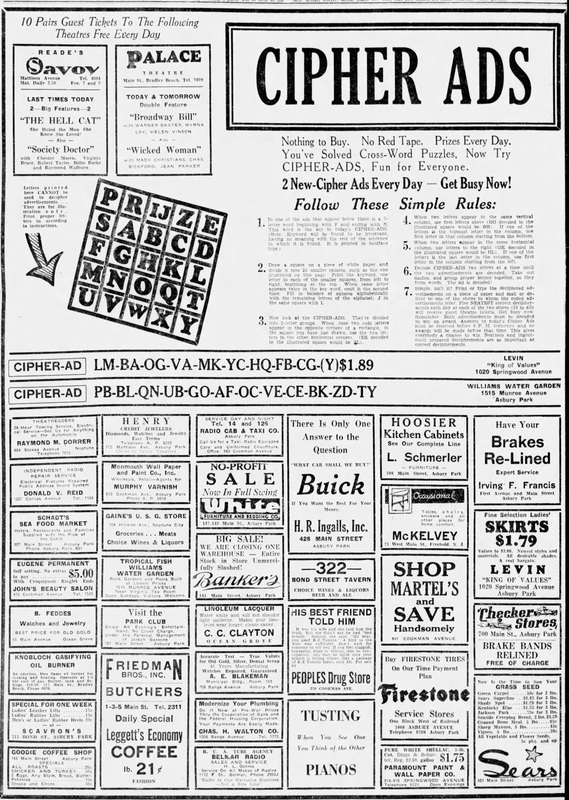 They published two Playfair cryptograms, the keys of which were hidden in an ad on the same page. Using encryption in an advertisement campaign is a concept that goes back to at least the 19th entury. I have written about this topic on Klausis Krypto Kolumne many times. 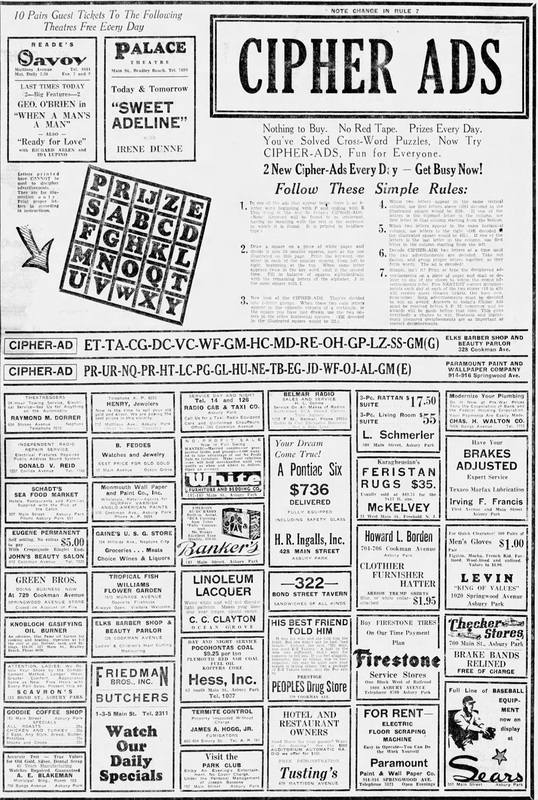 In the advertisement section of a US newspaper from the 1930s I have now found a number of cryptograms that are used for advertisement in a very interesting way. 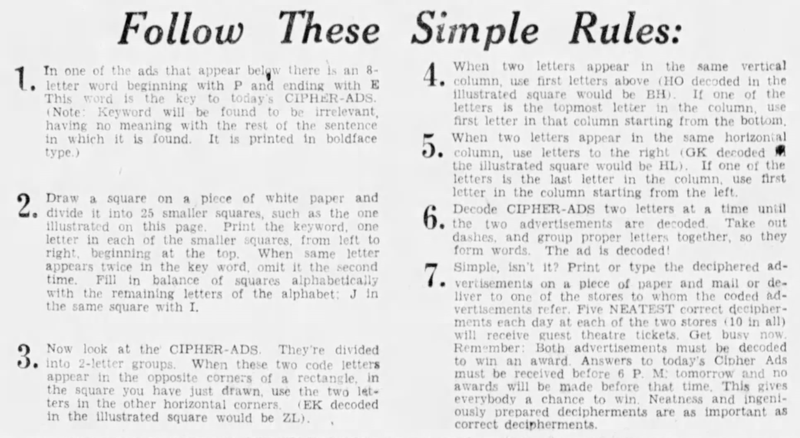 In order to win a prize, the reader needs to solve a double cryptogram, with the key used being hidden somewhere in the advertisements on the same page – certainly a good way to make readers take a close look at the advertisements. Interestingly, the encryption method used here is not a simple substitution, like it is used in most other advertisment campaigns involving crypto, but a Playfair cipher. 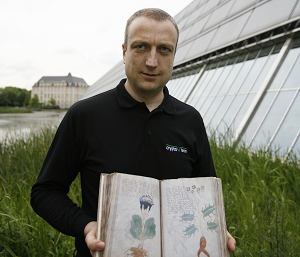 What is written here means that the two cryptograms have been created with a variant of the Playfair cipher. The rules describe the decryption process, not the encryption process. If you know how the Playfair cipher works (for instance, because you have read yesterdays’s blog post), you can skip the next paragraph. Let’s come back to the Cipher Ads challenge. The decrypting process described above refers to standard Playfair, with one exception. When two letters are in the same line they are decrypted by taking the right neighbors, while standard Playfair requires that the left neighbor is taken for decryption. 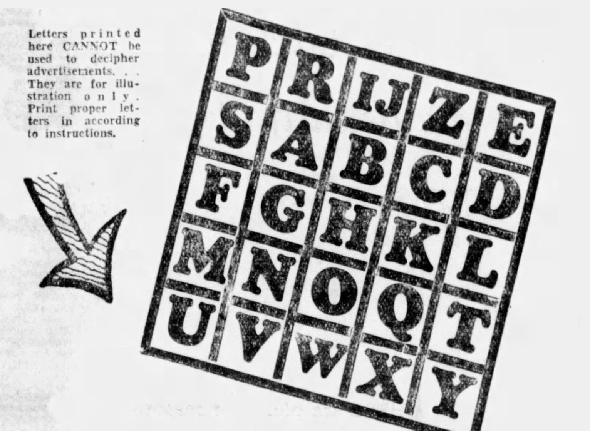 As in mentioned in the rules, the keyword used has eight letters and starts with a P. This word appears somewhere in one of the advertisements below the cryptograms. Can a reader solve this challenge? It seems this has already been busted. But I’d like to suggest a few cipher challenges for other K^3 readers. 6. 8 kings threatened to chase two BAd jokers. They did, in step, all the way to the end. Who knows? I may be back with more.